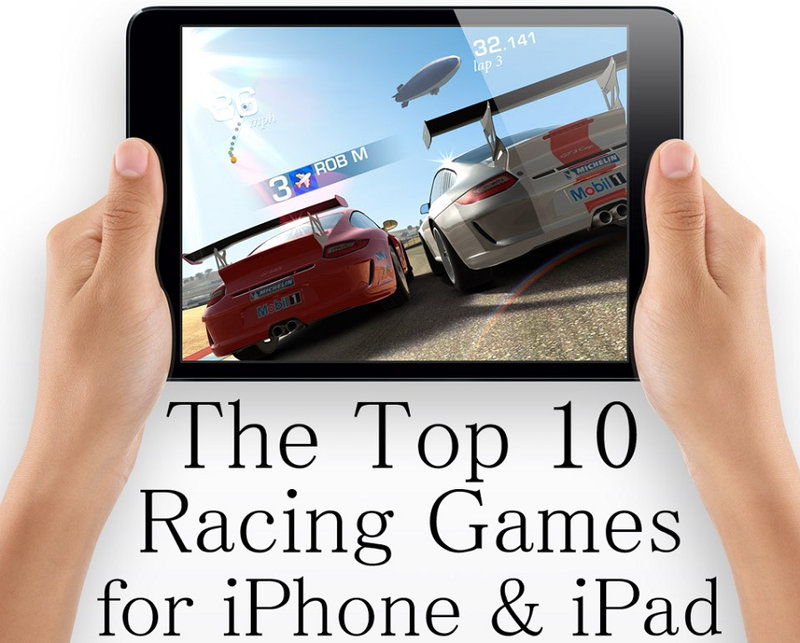 If you were to make of the top things people use their Apple iPhone, iPad and iPod touch for, Gaming would definitely be on one of the top spots, and if you were to take things further, and make a top of the games people like to play, Racing Games would definitely make the podium. However, with such a large variety of racing games out there, how do you know which ones are worth your attention and which ones are just a waste of time? 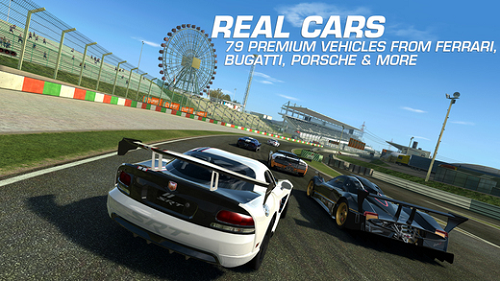 This article will help you identify the Review of Top Ten Most Played Racing Games On iPhone, iPad and iPod Touch smartphone and tablet devices. 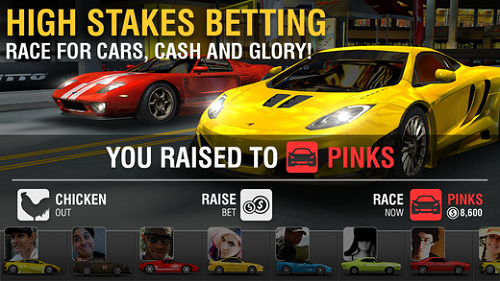 Some of the below mentioned iPhone, iPad and iPod Touch racing games are free, while some are paid ones! Real Racing 3 is one of EA’s top racing titles, and the best news is that it is now free to download and play, so if you’re looking for a realistic racing game with dozens of licensed cars, Real Racing 3 is it. Of course, if you’re willing to pull out your wallet for some in-game purchases things get a lot more interesting, but the free version is more than decent too. Download & Install HERE. 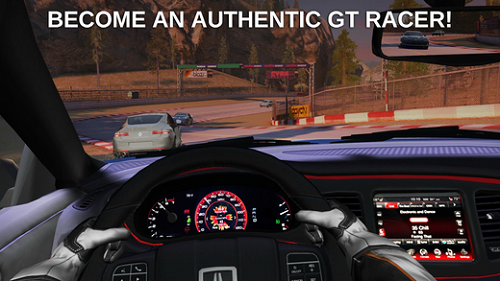 As you can guess from its name, GT Racing 2; The Real Car Experience is also all about realism, coming with a lot of challenging race tracks and a wide variety of cars from popular brands to choose from. Same as Real Racing 3, the game gets more exciting with some in-game purchases, but even without them, it’s still pretty captivating. Download & Install HERE. 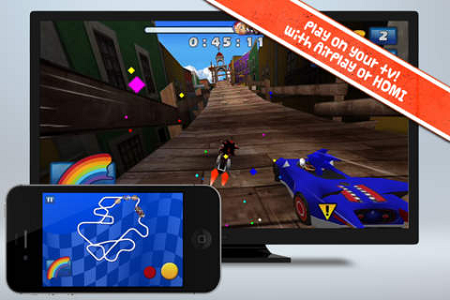 If you’re tired of single-player racing games, Racing Rivals is your game. You get to play against real opponents, and place bets. The game is pure adrenaline, and the feeling you get when you beat a rival and take his car, when racing for pink slips, is simply unbeatable. Download & Install HERE. Fan of the Need for Speed series on the PC or consoles? Now you can play’em on your iPhone as well. 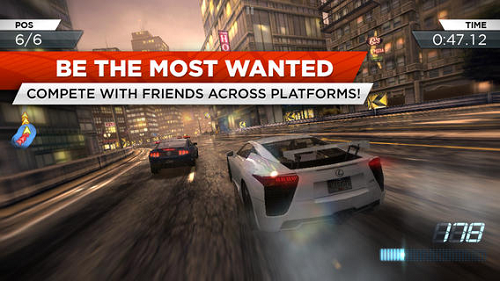 Need for Speed: Most Wanted for iPhone comes with outstanding graphics and a competitive gameplay to complete the experience. Download & Install HERE. The Fast & Furious movies were amongst the most awesome car movies ever made, so it was only logical that a series of games based on the movies would arise. 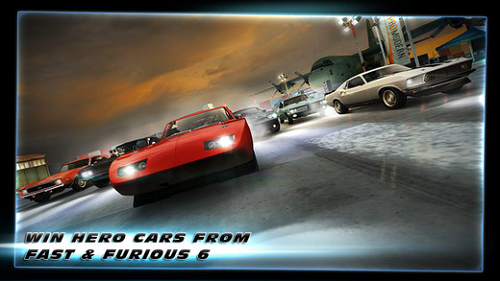 Fast & Furious 6: The Game is the iPhone version, and it is as breath-taking as the movie. You get to experience various racing types, and there’s even an interesting storyline to go along with the action. Download & Install HERE. So this top included a lot of realistic racing games so far, let’s add some arcade-style games. Angry Birds Go! 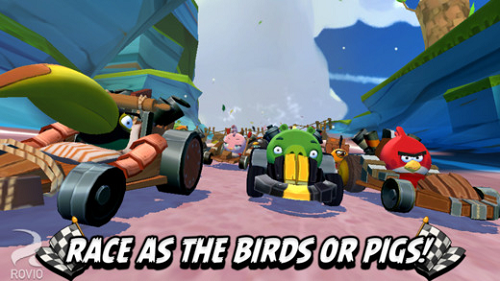 Is the next big hit in Angry Birds, where the action has moved to the racing track? Race against those pesky pigs and show them whose boss! Download & Install HERE. Blocky Roads is not about racing against some opponents, but rather getting from start to finish with the limited amount of fuel you have. The scenery is full of abrupt slopes, and the Minecraft-like graphics adds to the overall charm of the game. Download & Install HERE. 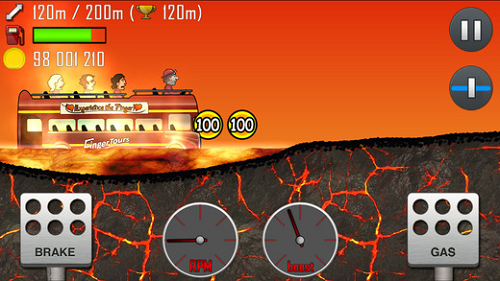 Hill Climb Racing is quite similar to Blocky Roads, minus the Minecraft graphics. The game has the same main target – finishing the track with the allocated fuel. One particularly funny thing about it is that you can flip over, case in which you hear your driver’s neck crack, in a funny and non-brutal way. Download & Install HERE. Sonic & Sega All-Stars Racing puts together all your favorite Sega characters in one big racing event. You’ve got plenty of characters, with plenty of weird vehicles, and a lot of colorful and challenging tracks, I personally think it’s a perfect recipe for a good playing time. Download & Install HERE. I’ve left the best for last, in the name of a true classic – Carmageddon. 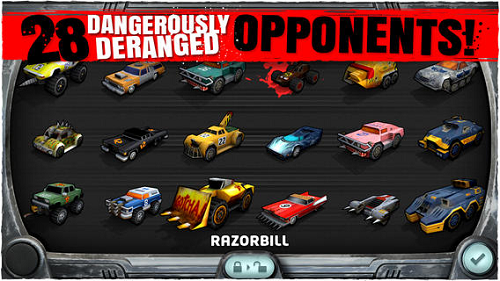 Yes, it’s THAT Carmageddon you know and love from the PC, now available directly on iOS Games. You’d better not show it to the kids, though, as the iPhone version of the game is just as gory as the PC one, with lots of blood and mutilated people. However, the damage caused to your opponents, and the havoc you cause throughout the city is simply priceless. Download & Install HERE. 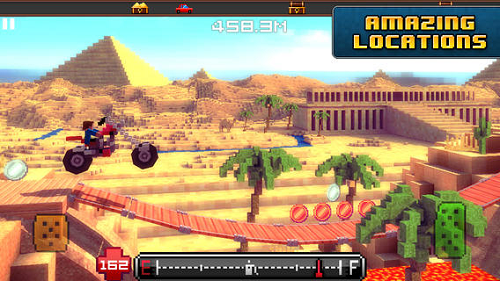 You can play more addictive racing games on Mini Clip too.